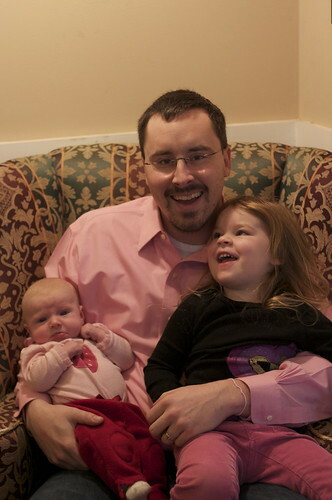 Daddy and his girls are sporting their Valentine's themed outfits for the day. Isla doesn't look too happy with it. What a cute pout she has! Adorable pic of Daddy and his girls!